I’ve been waiting on the women’s Summit Peak Hoodie ever since I tested the children’s version late last year. I’ve actually thought about using the largest kids size, but that can be problematic, as I’m not really proportioned like a kid, despite being pretty petite. So I was really excited to see it finally come down the pike in the New Horizons testing group- and a little bummed, because I was also super busy planning the Xpress Tank SewAlong, and didn’t really think I had enough time to test it, without giving up sleep entirely (anyone do that successfully? I keep trying, and turning into #scarymommy). Fortunately, I was able to wrap up my video editing a bit early, so I asked if I could sneak in on the testing group to do a little bit of hacking. 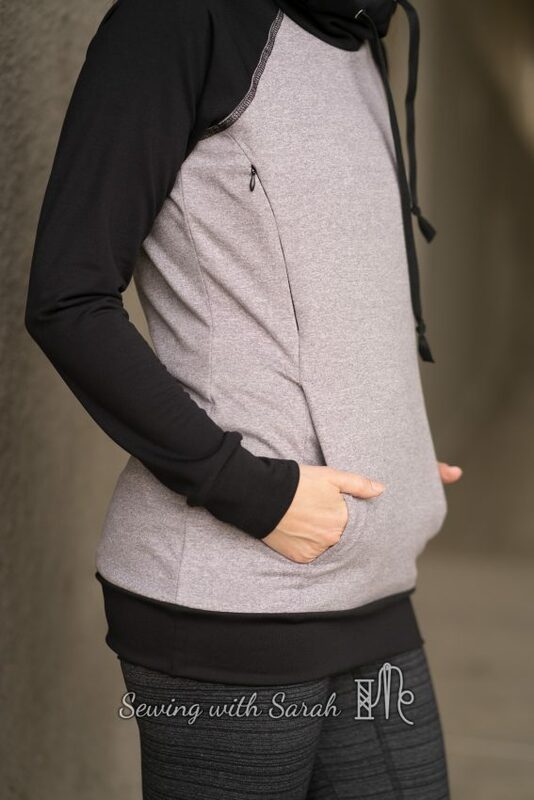 When I hacked the TAMI hoodie for nursing last year, as a guest post on the New Horizons blog, this little blog was brand-spanking new, and I had no idea what an adventure it would turn out to be. I also had no idea what I was doing, and the photos from back then make me cringe a bit (I took one standing in front of my bushes? Really?) 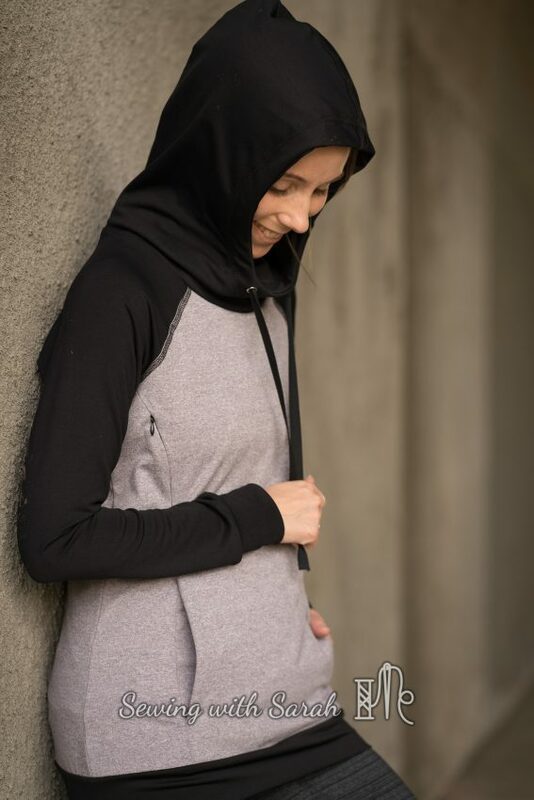 but somehow it all worked out, and I get warm fuzzy feelings every time I see a nursing TAMI hoodie pop up- I love empowering mamas, and giving a nursing mama the encouragement to sew her own nursing wear just tops my list of happy sewing accomplishments. 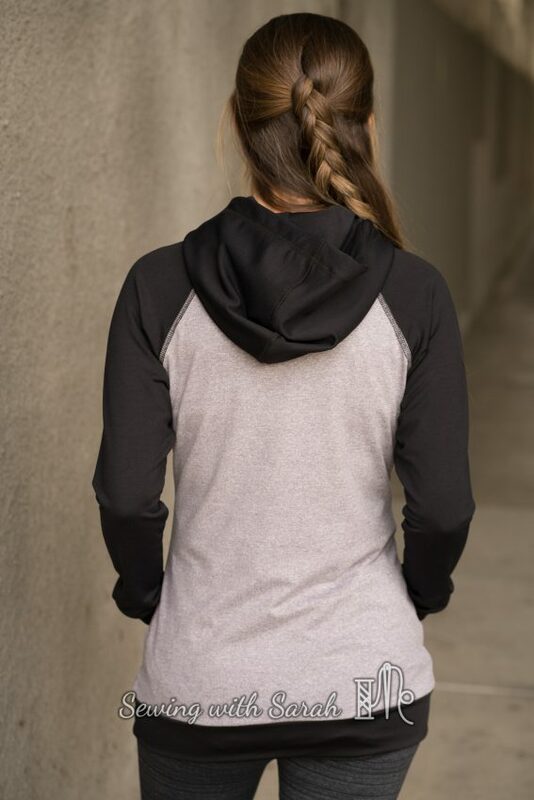 Those two hoodies I made during the test have gotten alot of love in my closet as well, but I was eager to try a new method, and the princess seams on the Summit Peak were perfect for my plan. Terra and Julie were kind enough to invite me back to share the new tutorial with you- check it out on the New Horizons blog here– I’ll wait! 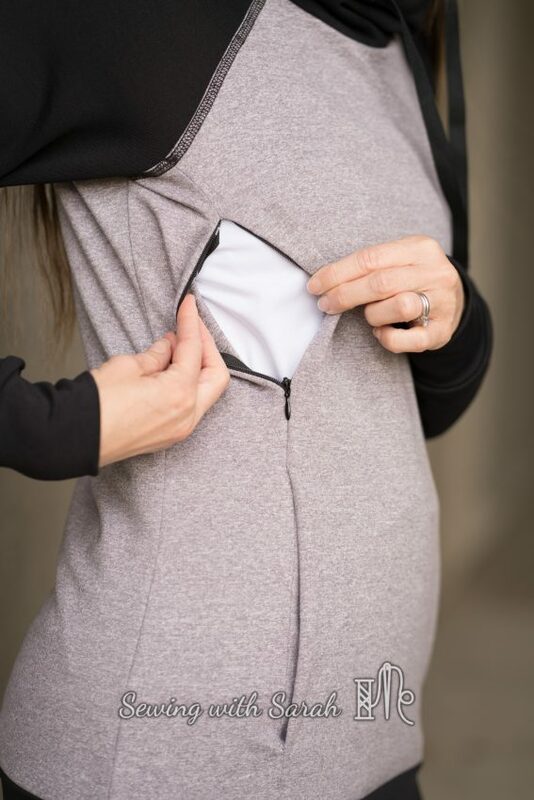 Whether you’re nursing or not, the Summit Peak makes an awesome hoodie- I love the high neck, and the hidden kangaroo pocket. 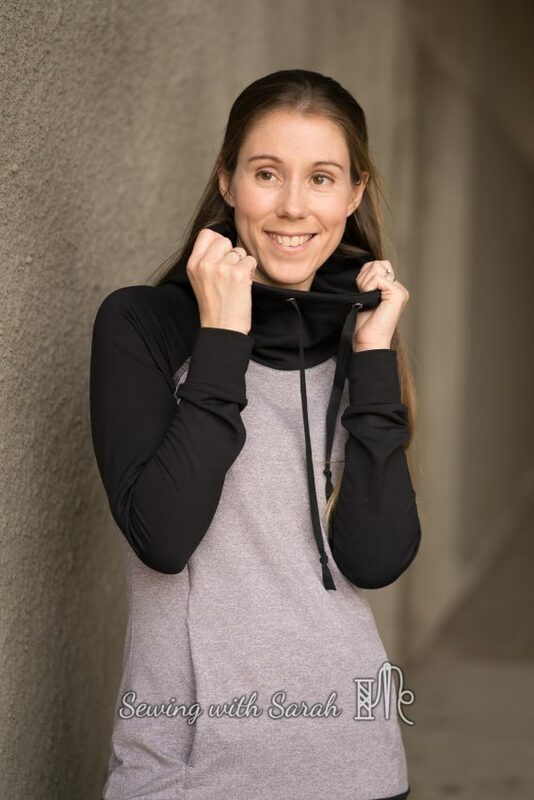 I made mine from black Under Armor athletic knit from Surge Fabrics (click the link for a 10% off coupon) and a heathered grey athletic knit from my stash. Literally as soon as this under armor fabric came in I was on the site ordering more- I really hope it doesn’t shrink much, because I didn’t even give it time to hit the washer! 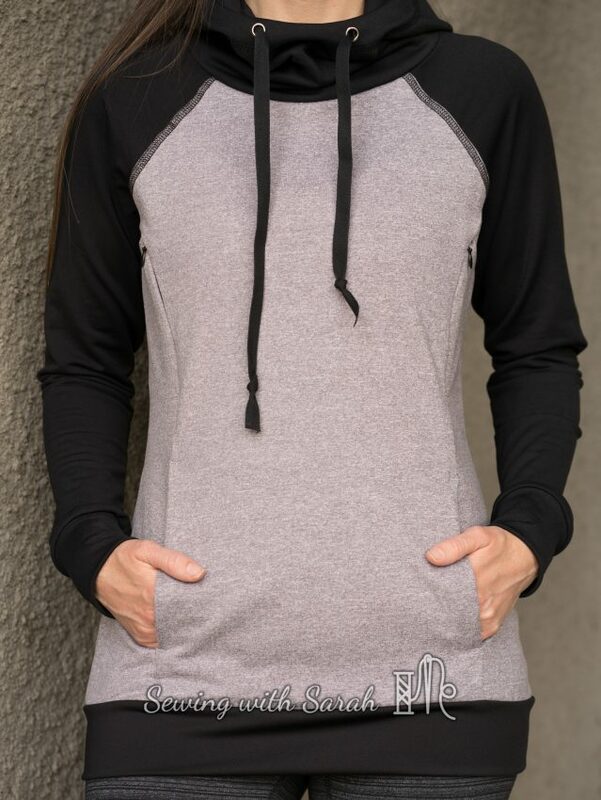 I really love the texture and weight- it’s perfect for pullovers and hoodies. Of course, the fastest way to usher in spring is to sew up something wintry- it was 55 degrees when I started this top, and 90 degrees just two days later. We’re taking several trips to the coast this year, though, so I know despite the warmer weather here (which I LOVE!) I’ll be grateful to have a nice lightweight layer to throw on at the ocean. In case you’re wondering, I’m wearing it with my Super G tights, from my fit Capsule here. I must like to put zippers in things, because these have the added zipper pocket (hack here). 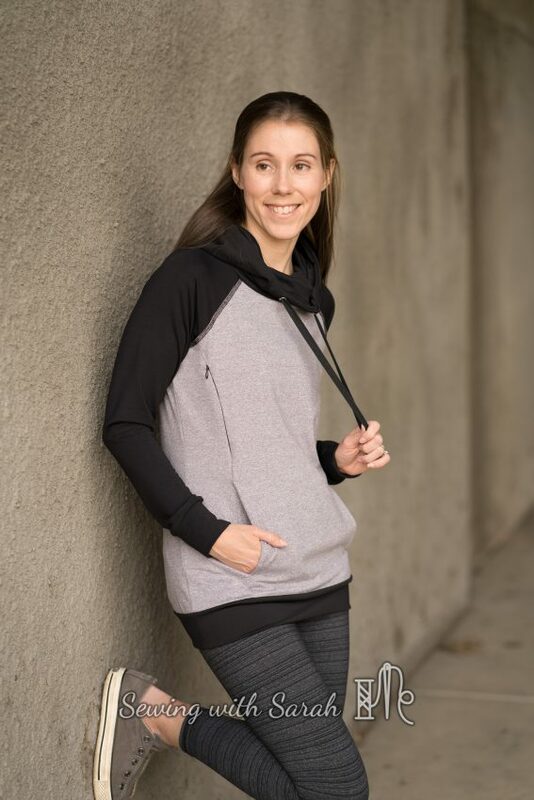 I’m pretty sure I could live in hoodies and capris all winter/fall/spring! If you want to check out my other favorite nursing friendly patterns or hacks, you can find them here. I would love to stay connected with you- you can subscribe to my blog here, or check me out on Instagram here!